Before you know it Valentine's Day will be here. It's a special day to show your love with sweets, right? 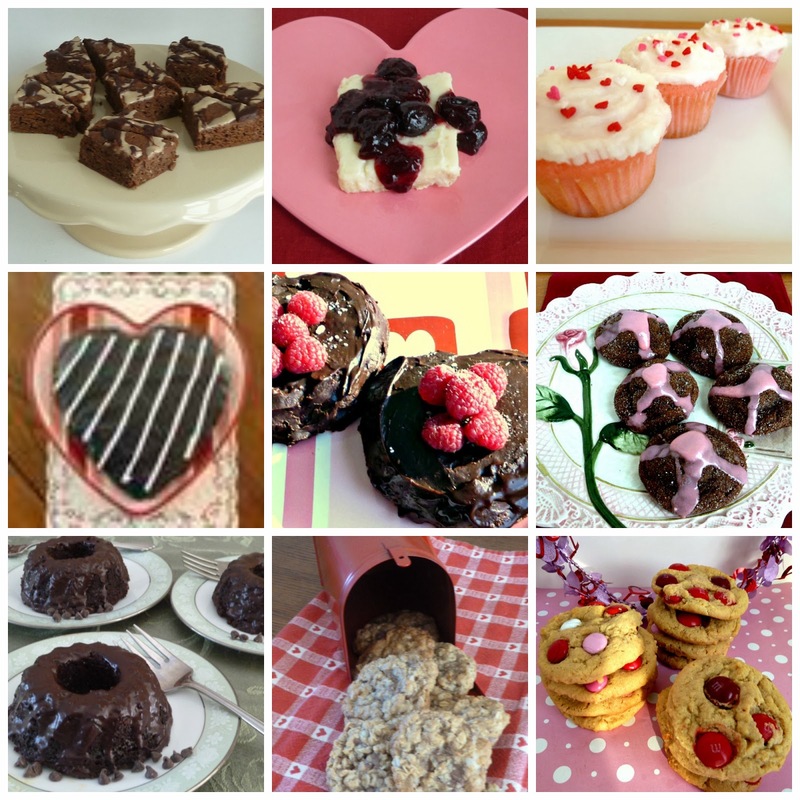 You can get some great ideas here at my Valentine's Day Treats Round Up. Whether you are looking for something chocolate, or not, there is something for everyone, from individual desserts to wonderful cookies, and cupcakes. Scott and I avoid the restaurant scene on Valentine's Day, but prefer to stay home and have a party in our kitchen, making a wonderful dinner, drinking, wine or champagne, and having a decadent treat. That's usually the way that our Valentine's Day goes. What do you do on Valentine's Day? Whatever you do, have a wonderful day. Enjoy! mmmmm so many delish treats! I love your round up with all these goodies in one spot for us to salivate over. I still can't believe it is this week, how did it get to be the middle of February already. Happy Valentine's Day my friend. Looks super delicious. I'll take one of each please! Yum!